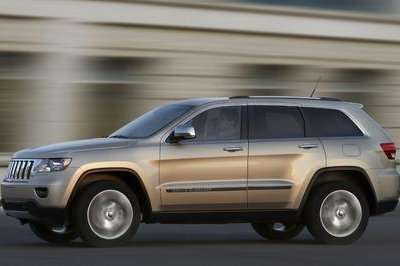 Fiat Chrysler Automobiles has official begun selling the U.S.-built Jeep Wrangler and Grand Cherokee to the Indian market. It’s part of FCA’s push to make Jeep a stronger global brand, with a concentration in China and now India. Both products compete with high-end vehicles from Mercedes-Benz, Land Rover, and Audi, while wearing a price tag nearly three times larger than U.S. pricing. The Wrangler Unlimited, for example, will cost the equivalent of roughly $107,000, while the EcoDiesel-powered Grand Cherokee Limited will cost around $140,000. The range topping Grand Cherokee SRT commands a whopping $167,000. This comes after Jeep squared away a $280 million partnership with Jaguar Land Rover’s parent company, the India-based Tata, to build an assembly plant in Ranjangaon, India for the construction of the Compass, Renegade, and upcoming compact A-segment Jeep. These smaller, lest costly Jeeps will still bring a premium when they begin selling next year. With over 1.2 billion people in India, the market represents a huge potential selling ground. It, along with China, will go far in helping Jeep achieve its goal of 2 million annual worldwide sales by the end of 2018. Combined, China and India will account for roughly 500,000 of those sales. 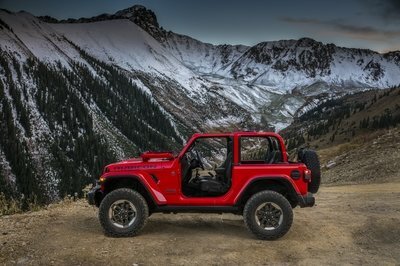 The remaining sales will come from Jeep’s traditional markets like the U.S. and Europe. Despite most Indian buyers purchasing low-cost vehicle options, there are the plenty of high-earners wanting luxury vehicles. And while Americans might not consider the Wrangler particularly luxurious, Land Rover Defenders were sold at a high premium on U.S. soul – showing the relationship can flow both ways. FCA is putting most of its eggs into one basket – SUVs and pickups. With the Dart and 200 sailing off into the sunset in the near future, FCA only has the handful of Dodge and Chrysler vehicles in categories not typically found with optional mud tires. Both Jeep and Ram brands are now responsible for keeping the automaker afloat. Expanding the Jeep brand into more global marketplaces allows FCA to rake in more profits thanks to more sales. And with the high mark-up of Jeeps in China and India, FCA is surely making a killing. It’s good to see FCA expanding its global reach. It should help secure the automaker by diversifying its economies of sale. This would likely prevent a hard financial hit should one of its many sales regions experience hard times. A hike in gas prices in the U.S., for example, would likely squelch American’s thirst for pickups and SUVs, leaving FCA with only a handful of appealing, fuel-efficient models. With China, India, and other foreign markets supporting it, FCA could weather the storm.